Sahara 614 New Photography by Pat Kofahl - Together, We Make Memories! Taken last week on our camel excursion into the Sahara desert at Erg Chebbi, near Merzouga, Morocco. 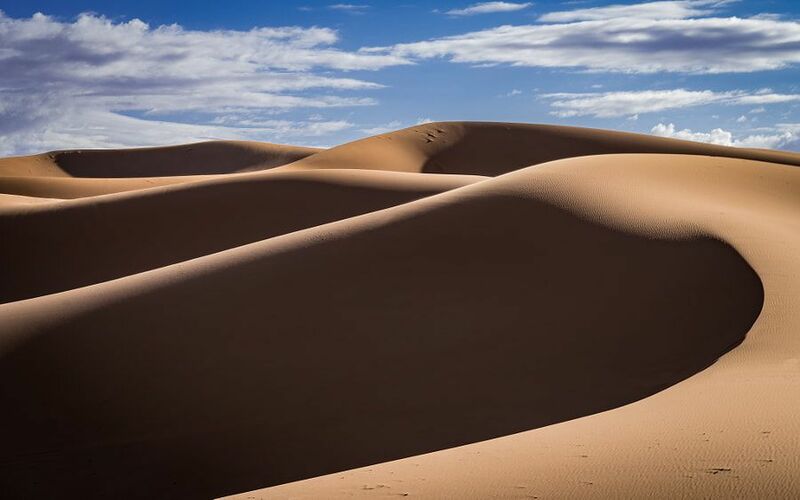 These are the some of the highest dunes in the entire Sahara, some reaching over 120 meters in height. The wind, which can often exceed 180 kph can completely reshape the terrain, and so a particular “view” can vanish virtually overnight. Chances are that this particular configuration doesn’t even exist anymore.This fine art image by Pat Kofahl is available in multiple sizes on paper, canvas, metal and plexiglass. Prices start at $49.00!